Join a community with character, and help build a city with us! 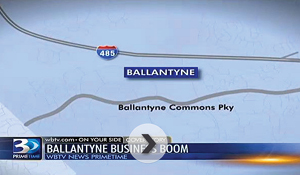 Ballantyne already has over 40 office buildings totaling more than 4.2 million square feet of Class A office. Winner of the BOMA International Office Park of the Year designation, Ballantyne is positioned to deliver on every aspect of the requirements needed for Amazon HQ2 to be extraordinarily successful. 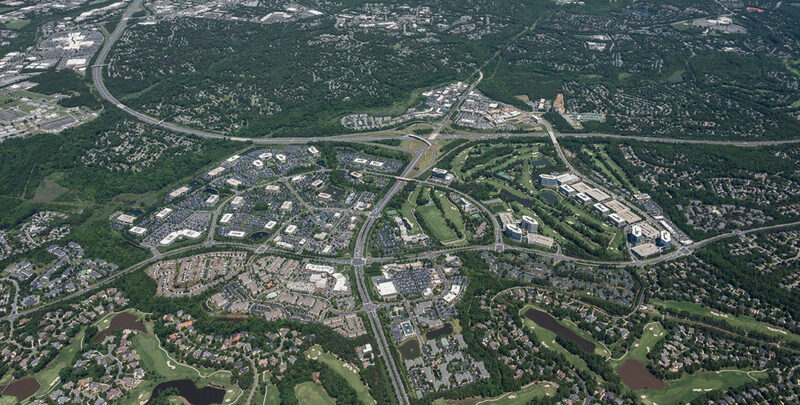 Earlier this year, Northwood acquired Ballantyne because of its sheer scale, how it fits into the greater Charlotte landscape and the ability to grow it dramatically. We continue to invest in Charlotte because we are bullish on its ability to attract companies and talented people, and Ballantyne will be a major part of this continuing trend. Since its inception, the primary employment sector of this nationally recognized community has been held by one owner. Our single ownership allows for both a strategic and comprehensive approach to creating the most desirable place to live and work in the nation. Total inventory control. If additional space is needed, we can look to any of the 40+ office buildings we already own to see if that space can first be used to accommodate Amazon before creating additional product. Commitment to consistent quality that ensures control and protection of your corporate image. There should be no concerns about adjacent properties being adequately maintained or subject to a change in use that would diminish the image and positive environment essential to the HQ2 campus. Ability to capture and control big data related to the entire small city to ensure quality of life, proper movement of people and vehicles, adaptability to future mobility choices, commitment to sustainability and a thriving environment for wildlife, botanical health, wellness activities, fitness options and engaging charitable and civic participation. 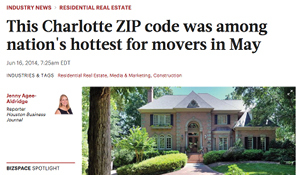 Such coordination can only best be achieved when a single owner of essentially an entire submarket exists, such as in Ballantyne. Northwood is on the cusp of starting a 100% speculative Class A office product that was programmed for just under 300,000 square feet but can easily be adapted to accommodate 500,000 square feet for delivery in 2019. As Ballantyne has almost two million square feet of entitlements for additional office space, expanding the building size requires no local government approvals. Grow with us. With Northwood’s control over approximately 500 acres in a highly successful, established community environment, Amazon can create its ideal HQ2 in Ballantyne. We engaged internationally renowned firm Sasaki to create some inspiring site designs to explore the evolution of Amazon’s HQ2. 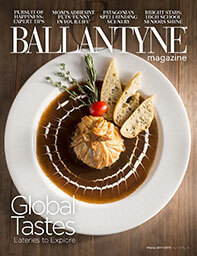 Providing an established live, work and play setting, Ballantyne is the definitive choice for more than 300 companies. People enjoy living in Charlotte. With a population of more than 2.4 million, metropolitan Charlotte provides all the advantages and amenities of a major urban area. Learn more about the region. 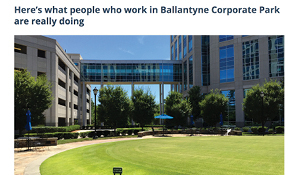 Because of its proximity to the greatest concentration of college-educated people in the city, Ballantyne has proven time and again to be extraordinarily effective in talent recruitment, which in part explains why over 30 Fortune 500 companies are located here. Ballantyne features the largest concentration of STEM graduates in Charlotte and is adjacent to three of the fastest growing counties in the nation. 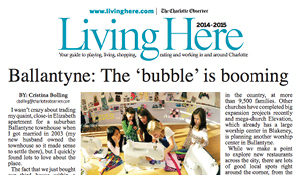 Ballantyne is universally appealing to all ages but particularly attractive when considering the millennial migration that has started as family formation begins. Outstanding schools, a broad inventory of housing options, greenway access, abundant fitness and wellness options, numerous vibrant restaurants and convenient retail are all what make Ballantyne one of the most enticing places to live, work, play and stay in the country. Ballantyne’s proximity to Charlotte Douglas International Airport is one of the top benefits of working here. The airport is undergoing an expansion to ensure the facilities and airfield will meet future growth. Plans include an ​elevated roadway and terminal curb front​​​​, concourse expansions, terminal renovations, fourth parallel run way and more. View additional details on the scope of the expansion. Currently served by bus service, Ballantyne is poised by the end of 2020 to additionally be served by express bus service originating from the Pineville Blue Line rail station and connecting to our project using a managed lane on the interstate highway immediately adjacent to our project. In the future, Ballantyne will also be served by an express bus also using a managed lane originating from the proposed Silver Line light rail service. As Charlotte strategizes for expansion of its light rail system, Ballantyne is considered a desirable location for stops and a station. From the beginning, the developers of Ballantyne have recognized the importance of creating environmental sustainability within our office environment as well as among customers and the community. 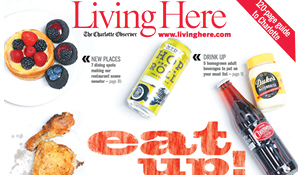 Ballantyne is already one of the most attractive places to live, work, play and thrive in the nation. We want to partner with Amazon to elevate an established area as the best place in the country for HQ2. What is your vision? Join us in making it a reality.